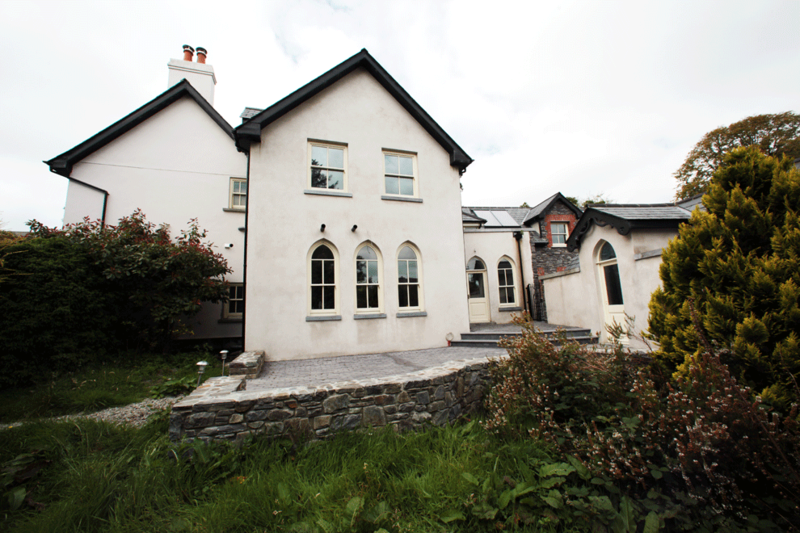 Restoration of Old Parsonage with the addition of a substantial extension. 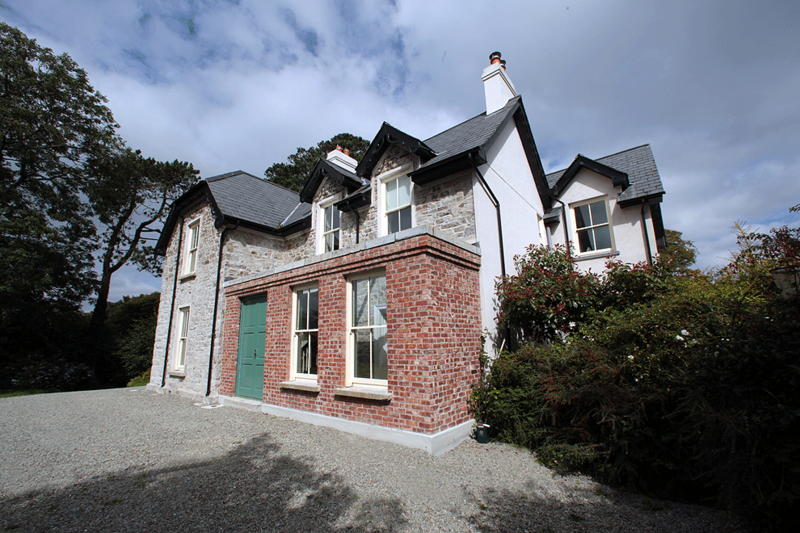 The Drimoleague restoration of the Old Parsonage was completely gutted & new windows, floors, doors and a slate roof were put on. 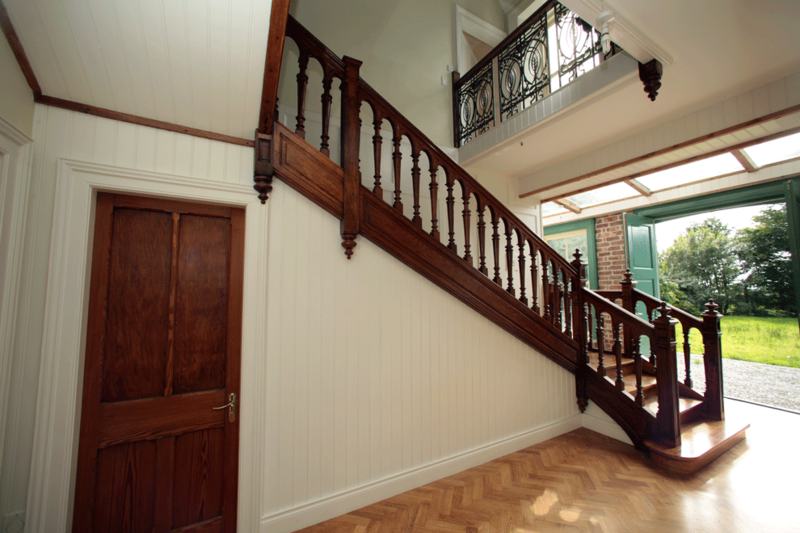 there was a lot of architectural salvaged items used on the build such as a reclaimed stairs circa 1870s that was sourced in France. 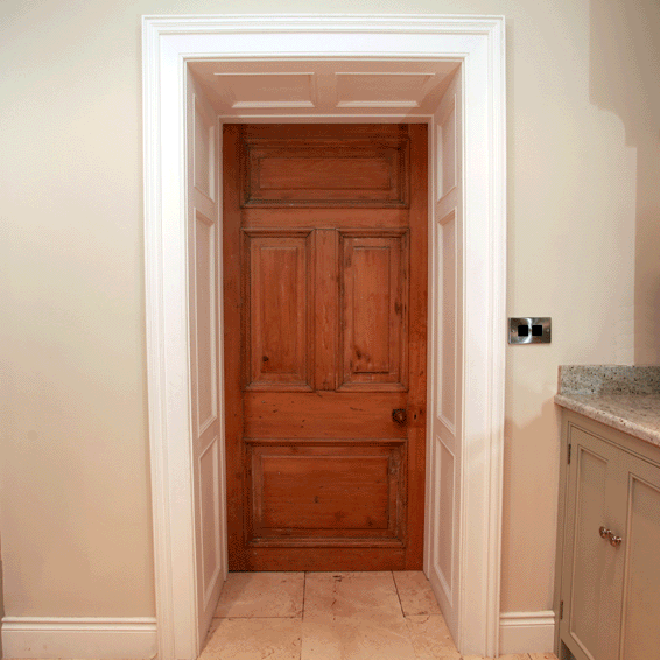 Georgian panelled doors that were sourced locally, over 150 sq meters of 12″ reclaimed oak parquet floor. A reclaimed brick extension was added to the front of the house using reclaimed limestone parapet capping. The house has under-floor heating mixed with reclaimed radiators and geothermal and oil back up heating with solar panels for hot water. 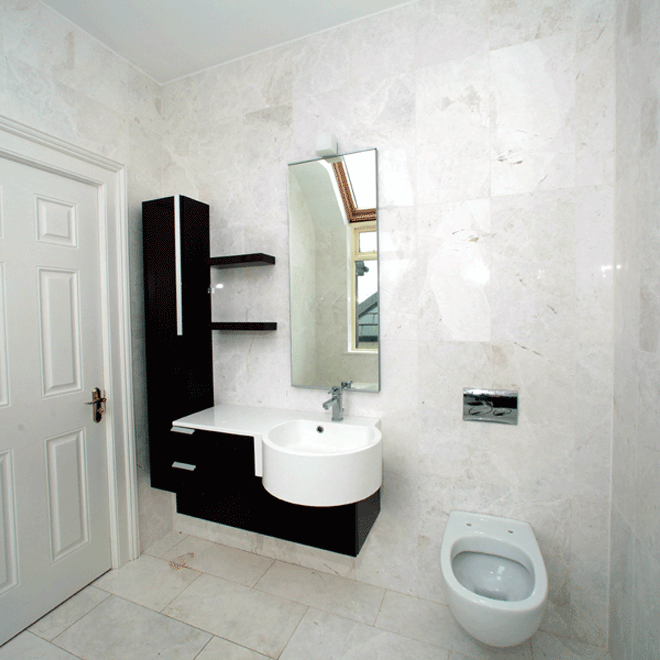 the new build is block and stone extension with concrete floors. Above: Front of house with new brick extension. Left: Lime-rendered extension with coble-stone patio. 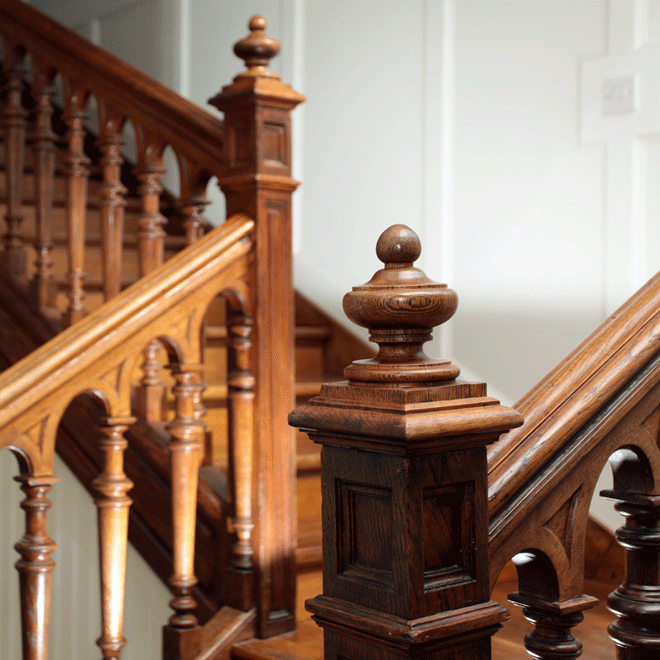 Above: Reclaimed and restored stairs sourced directly from France, originally circa 1870. 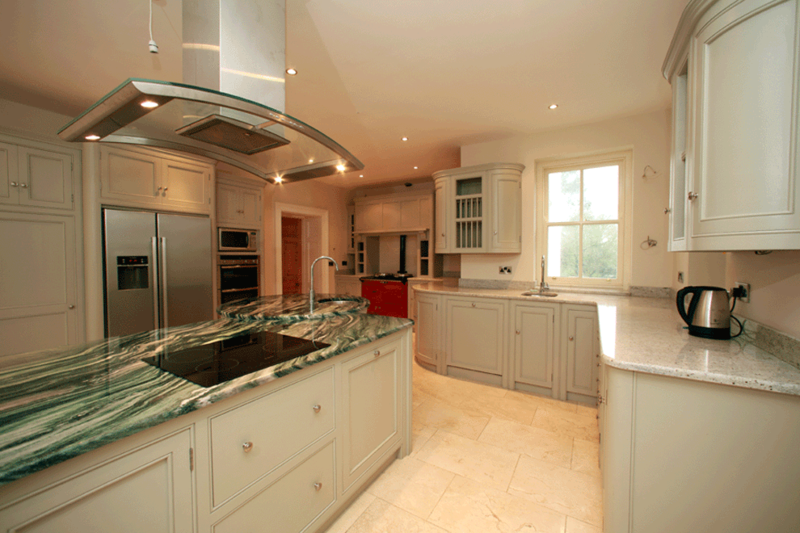 Right: Bespoke fitted kitchen installed on marble floors. 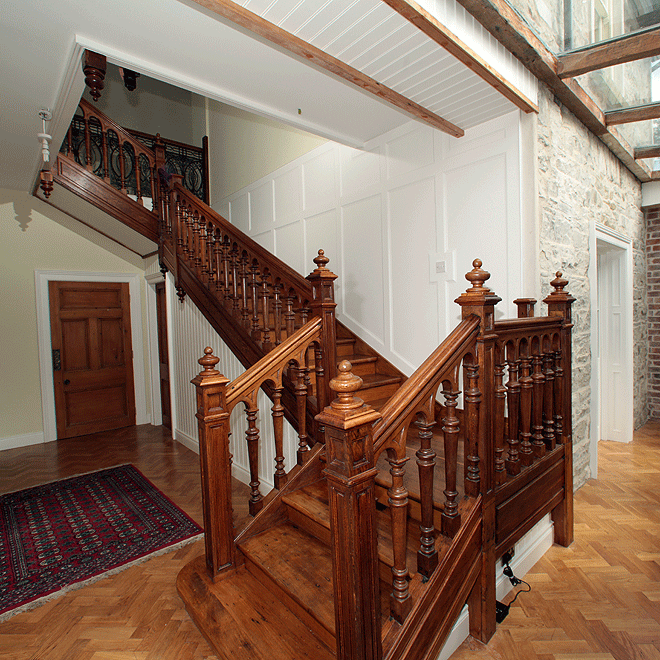 Above: Reclaimed stairs with cast iron balustrade on reclaimed parquet floor. 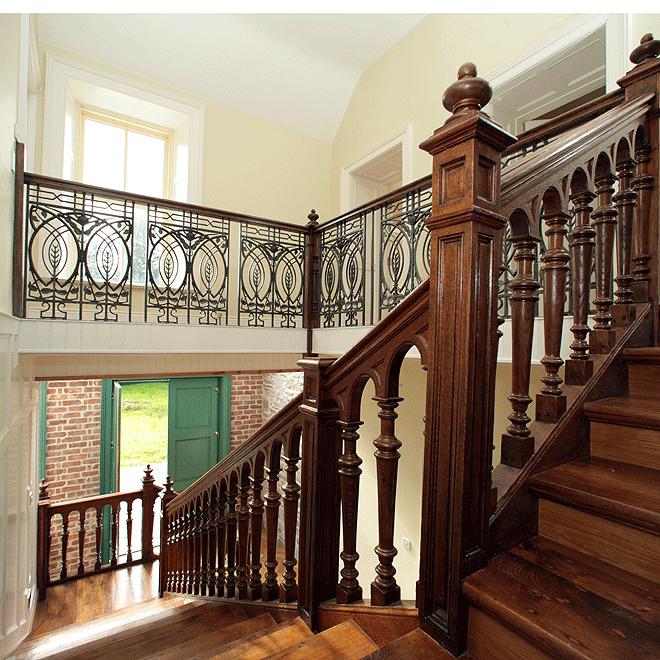 Above: Another view of reclaimed stairs showing cast iron balustrade. 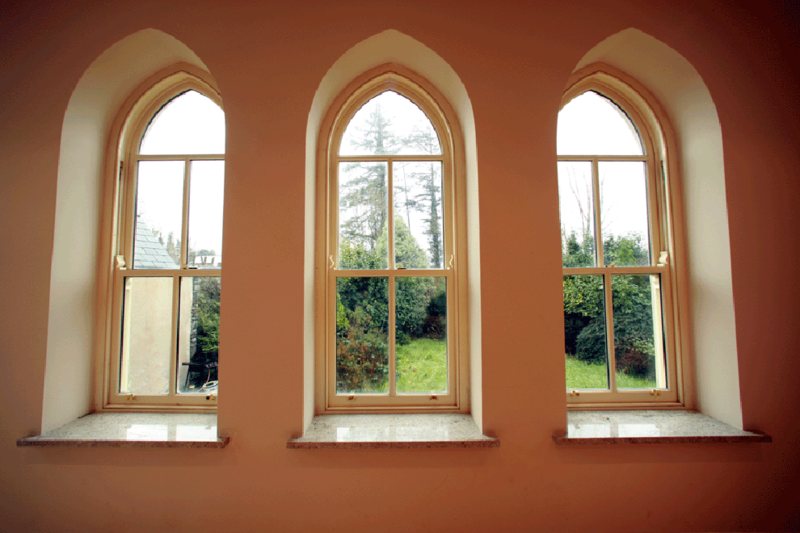 Left: 3 arched timber sash windows. 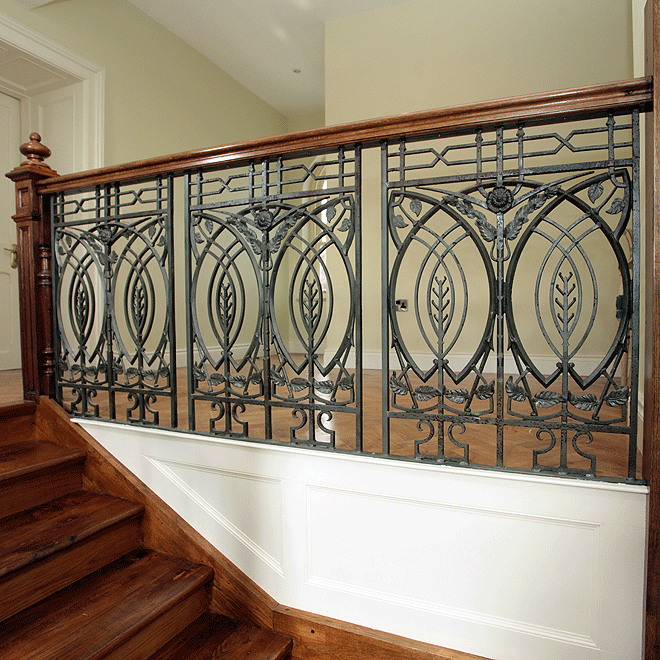 Above: French cast iron railing circa 1890. 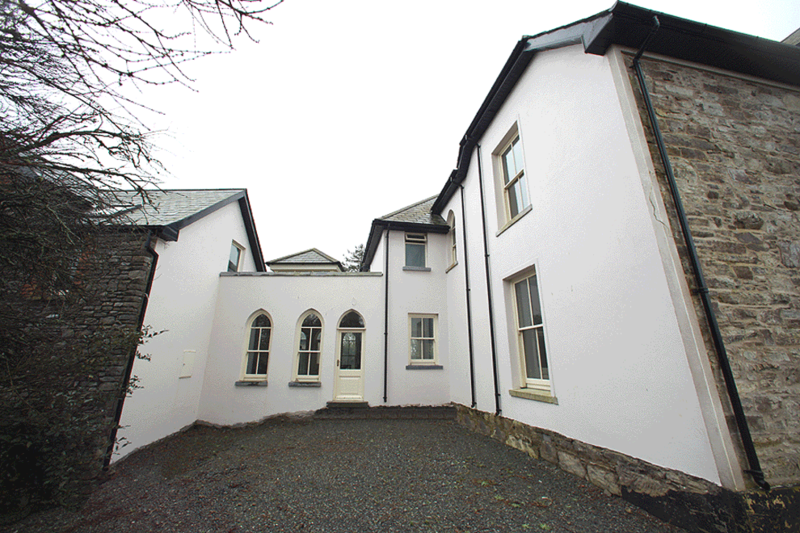 Right: Front entrance of the Old Parsonage. 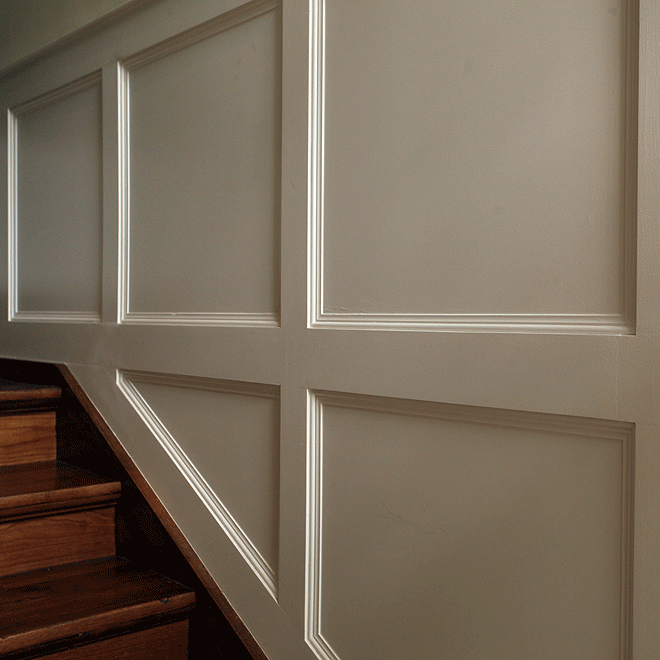 Above: Reclaimed pine double doors. 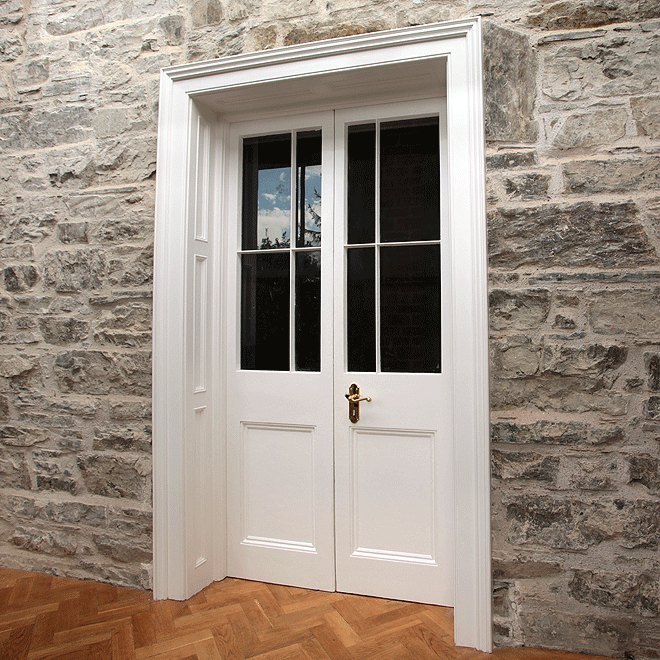 Right: Entrance to new orangery. 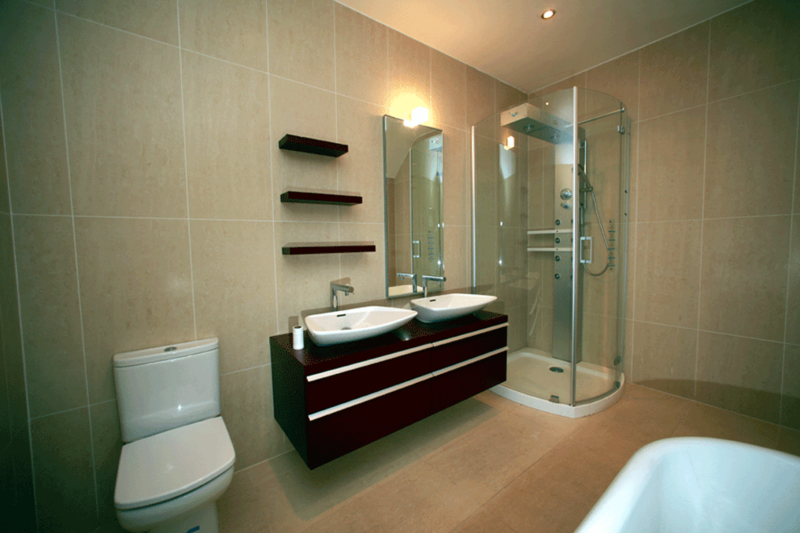 Above: Master bedroom ensuite with jacuzzi bathtub with white marble floors and walls.